According to data released by the American Wind Energy Association (AWEA), wind energy reduces energy bills through market competition, refuting claims made by Exelon – the biggest owner of nuclear power and merchant fossil plants in the United States. Exelon has campaigned aggressively against bipartisan support for wind energy in the US, arguing that the renewable Production Tax Credit commonly causes occurrences of negative electricity prices at its nuclear power stations. 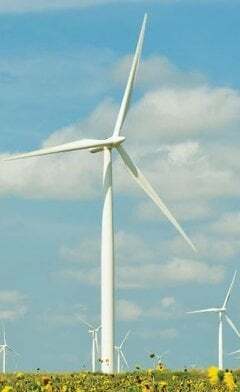 Goggin explained that Exelon’s campaign erroneously combines the consumer benefits of wind energy with a an isolated issue known as negative pricing. According to grid operator data, Exelon had overstated how often negative prices occur at its nuclear power stations by a factor of 20. In most cases Exelon’s own nuclear plants had caused the negative prices, and not wind. In any case, much-needed grid upgrades are gradually eliminating occurrences of negative price, Goggin added. In the US in 2013, wind power exceeded 4% of the national power grid. Exelon’s nuclear plants rarely have cases of negative electricity prices – according to grid operator data, Exelon has repeatedly exaggerated how often negative prices occur at its atomic power stations by a factor of ten to twenty. Most negative price occurrences not caused by wind energy – many of the negative price occurrences were found to have been caused by Exelon nuclear plants. In most occurrences of negative pricing rice wind output was extremely low. Data point to Exelon’s nuclear plants being unable to reduce output in response to periods when the demand for electricity is low (or localized transmission outages). Across the country transmission upgrades are doing away with cases of negative prices. The PTC (Production Tax Credit) is hardly ever factored into the electricity market prices received by other power plants – wind energy would have to set the market clearing price for the PTC to be reflected in electricity market prices that cause negative prices. That hardly ever happens because there is no fuel cost involved in the production of wind energy; it also has far lower marginal operating costs compared to other resources that have fuel costs. Irrespective of whether a wind energy plant receives the PTC, it does not set the market prices because it does not have the highest operating cost. Exelon’s real threat – and the economics of nuclear generation overall come from low electricity demand and cheap natural gas. Several experts in the utility industry, and even Exelon’s own reports and statements, demonstrate that falling natural gas prices and flat electricity demand are the greatest challenges to the sector by far. If you harness the kinetic energy in moving air and convert it into electricity, you are generating wind energy.